I like to think of myself as a bit of a foodie, eschewing any recipe that includes a can of cream of “fill in the blank” soup as part of its ingredient list. But lately, I’ve been having a bit of a love affair with all mayonnaise based salads, be they broccoli, carrot, cabbage, or in this case, pea. Sometimes those church ladies are simply onto something. 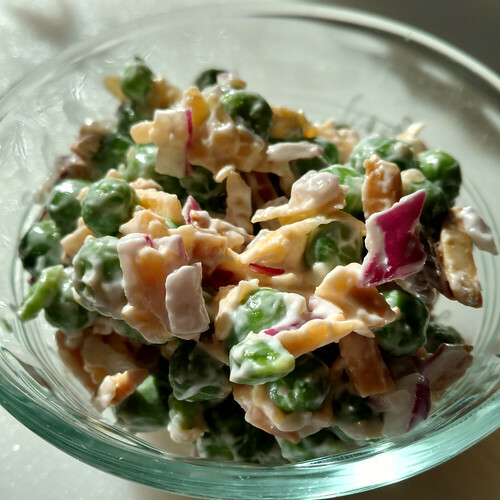 This recipe, which I dug out when I discovered three small bags of shelling peas from the garden languishing in my crisper drawer, originally came from a pot luck get together when we were living in a small town in Arizona. I liked it enough to ask for the recipe. It’s the crunch of the salted peanuts that really make it perfect, though I’m sure you could do variations with other nuts as well. 1/4 cup finely chopped onion or scallions – don’t use sweet onions here. You want the hot contrast to the sweetness of the peas. 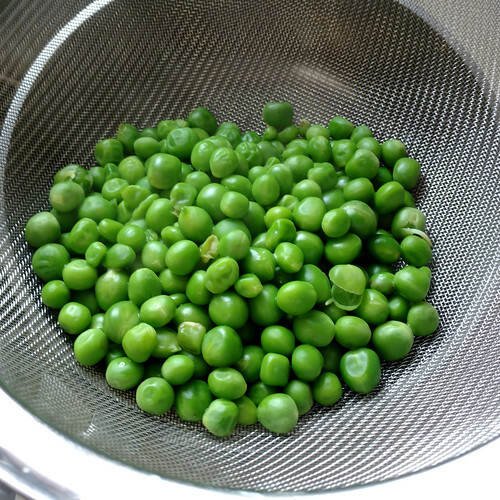 If your peas are fresh, shell and blanch them in boiling water for 2 minutes, drain, shock in ice water and drain again. Place peas and cheddar cheese in medium bowl. Mix mayonnaise, sour cream, mustard, garlic powder and onions together and add to the pea/cheese mixture. Stir. Add in peanuts and stir again. Chill for a couple of hours (if you can wait that long) and serve. © Miles Away Farm 2016, where fresh garden pea season is over, and tomato season is about to begin. I prepared this recipe yesterday. It’s a hit in Santa Cruz, CA!